The City of New Haven purchased the property in 2012 and ignited the initial hum within the community about the revival of Q House. Shortly afterwards, Regina Winters of Zared Architects was retained by the city for an initial program study of the space. Upon completion of the program study and upon receiving State of Connecticut funding for full architectural services, an RFP was issue by the City of New Haven. Kenneth Boroson Architects was retained along with Zared Architects to design the new Q House. At the time, Kenneth Boroson Architects' role was to design the exterior of the building and the building layout. The team was posed with two challenges; the first, to build a practical facility that met all programming needs of the community. The second, to breathe life back into community center that had been fiercely missed. Following Winter’s untimely passing in the spring of 2016, the contract was revised to have Kenneth Boroson Architects carry the project forward through the final stages of design and into construction. The programming was built around a community charrette which determined the specific needs which the facility would fulfill. The design team worked closely with city officials and members of the community to ensure each facet of Q House reflected their intentions. 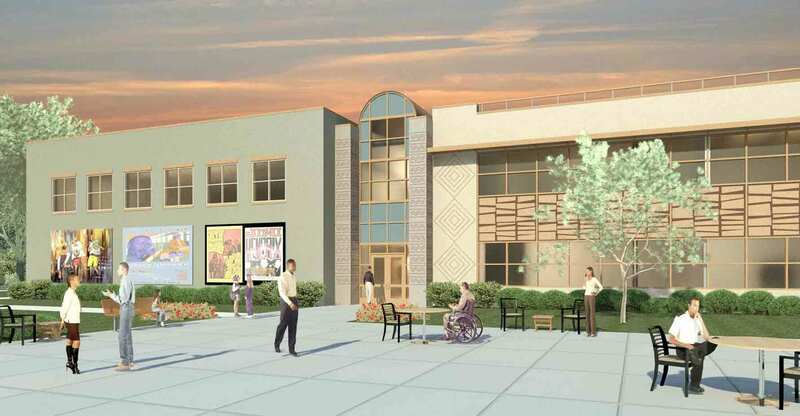 The community center will include a senior center, teen center, art spaces, a full-sized basketball court, and a museum featuring the history of Q House. 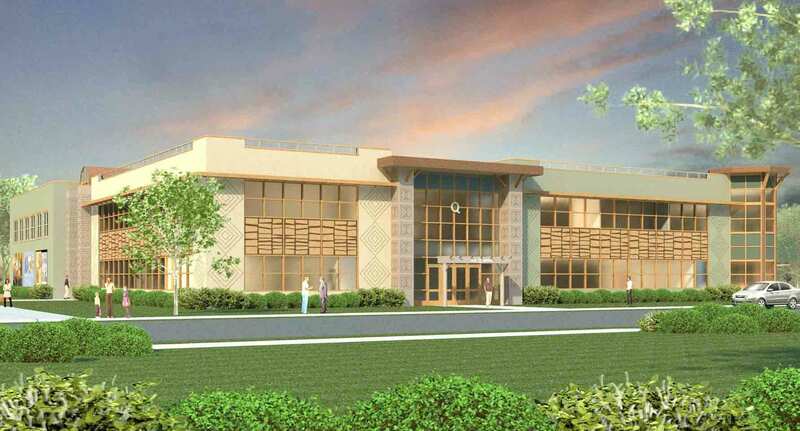 In addition to the recreational spaces, the facility will also hold the new location for the expanded branch of the Stetson Branch Library and Hill Health Center. Collectively, Q House is envisioned to be a hub of education, health, and recreation activities for the current families of New Haven and the future generations to come. The undeniable flare of Q house lies within the thoughtful design and meticulous details. During schematic design, the idea arose to infuse the building with elements that held meaning to those using the facility. As a result, the late Regina Winters researched authentic African tribal symbols to showcase on the façade. A challenging task, the chosen symbols needed to be historically accurate while simultaneously acting as aesthetic building elements. One particularly eloquent symbol, meaning wind resistant house, frames one of the main entrances of Q House. Other symbols, “climb a good tree” and “iguanas elbow”, capture the playfulness of the facility. Additionally, the diamond shapes found on the façade play off the round concentric circles that mean “community”. In other places of Q House, artwork is used as tool for storytelling. Within the courtyard that has held numerous historical events, there will be designated mural walls. Local artists will infuse the space with colorful imagery representative of communal values. This spirit will permeate the interior of Q House using colors and textures which aim to create a vibrant and inviting facility. A successful design responds creatively to both the function and the identity of a place. The revitalization of Q House required a sensitive design that was attentive to their needs of the community while simultaneously celebrating a historic past. The revival of Q House will do more than supply a facility for the youth and residents to gather, it will restore hope to a neighborhood for a brighter future and create a place to once again call their own.